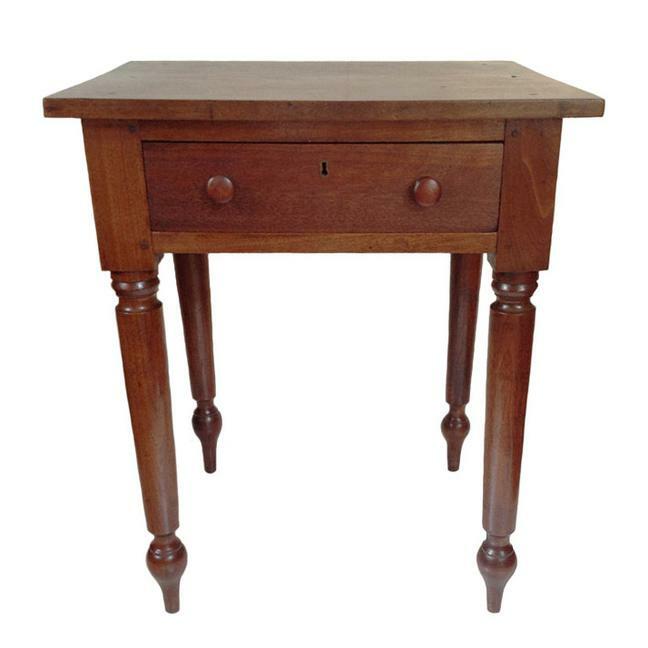 This is a very fine walnut Kentucky single drawer work table that was made in and has spent its entire life in Warren County Kentucky. Very clean lines with beautifully turned legs and original pulls. Interestingly the escutcheon was placed upside down. Pegged and mortised construction. A fine example of Warren County Kentucky furniture. From a private family in Warren County Kentucky. Measuring 28" tall with the top measuring 24" wide by 19 1/2" deep. Original surface. Ca 1830.